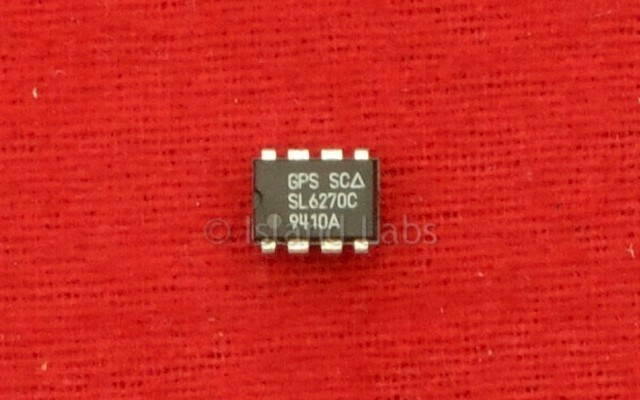 The SL6270 is a silicon integrated circuit combining the functions of audio amplifier and voice operated gain adjusting device (VOGAD). It is designed to accept signals from a low sensitivity microphone and to provide an essentially constant output signal for a 50dB range of input. The dynamic range, attack and decay times are controlled by external components. The input to the SL6270 may be single-ended or differential but must be capacitor coupled. In the single-ended mode, the signal can be applied to either input, the remaining input being decoupled to ground. Input signals of less than a few hundred microvolts are normally amplified but as the signal level is increased the AGC begins to take effect, and the output is held almost constant at 90mV RMS over an input range of 50dB. The dynamic range and sensitivity can be reduced by reducing the main amplifier voltage gain. The connection of a 1kΩ resistor between pins 7 and 8 will reduce both by approximately 20 dB. Values less than 680Ω are not advised. The low-frequency response of the SL6270 is determined by the input, output and coupling capacitors. Generally, the coupling capacitor between pins 2 and 7 is chosen to give a -3dB point at 300Hz, corresponding to 2.2µF, and the other capacitors are selected to provide a response to 100Hz or less. 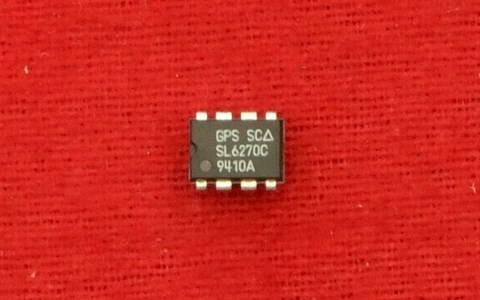 The SL6270 has an open loop upper-frequency response of a few MHz, and a capacitor should be connected between pins 7 and 8 to give the required bandwidth. The decay time is determined by the discharge rate of the capacitor, and the recommended circuit gives a decay rate of 20dB/second. Other values of resistance between pin 1 and ground can be used to obtain different results.